Forty years ago Ayatollah Ruhollah Khomeini, the Shiite cleric who led Iran’s unfolding Islamic revolution, was welcomed back to Tehran by a jubilant throng after more than 14 years in exile. This story by AFP journalist Patrick Meney, originally in French, captures the mood of that remarkable day in February 1979 when the opposition leader returned to replace the monarchy with an Islamic republic. Millions of Iranians with beaming faces massed along a 32-kilometre (20-mile) route Thursday to give a triumphant welcome to the exiled Ayatollah Khomeini, whose car was engulfed for hours by an ecstatic human tide. As soon as he left the Tehran airport (…), a visibly moved but calm Khomeini was swept up by millions of his supporters. In black robes and a turban, the religious leader travelled in an American station wagon that was followed by a fleet of minibuses packed with journalists from around the world. About 50,000 volunteers were on hand to control the crowd. Wearing green armbands, they were called the ‘Islamic police’. The government had given them full responsibility for the ayatollah’s security. But this religious security service was quickly overwhelmed. In a matter of seconds, Khomeini’s car disappeared in the crowd, which blocked the way for dozens of ambulances filled with unconscious demonstrators who fainted in the swell of the black mass that stretched as far as the eye could see down Tehran’s long, straight avenues. How many people were out on the street on this Thursday? Five million, perhaps… or six, it was impossible to say. In any case, it was unprecedented. At the gateway to the capital the imposing memorial to the shah, the symbol of modern Iran, had been renamed Khomeini Square. Where is the ayatollah’s car now? We don’t know. It has disappeared somewhere in the noisy tide of people, a swarming wave, from which emerge hundreds of thousands of portraits of the leader of the ‘Islamic revolution’. The military has totally deserted the capital. At some points along the route, followers — finally getting back their venerated ‘leader’ after more than 14 years in exile — pick up the ayatollah’s car and carry it for several metres (feet). ‘Your return signifies the proclamation of the Islamic republic,’ the most enthusiastic among them shout. Everyone is aware of the significance of this return from exile, while the recent departure of the shah, Mohammad Reza Pahlavi, also looks like someone who has gone into exile. When the ayatollah’s Boeing 747 touched down in Tehran, there was silence. It was also in silence that he descended the steps of the plane, rediscovering his country but not recognising the capital, now bristling with modern towers. Then he vehemently lashed out at his adversary. 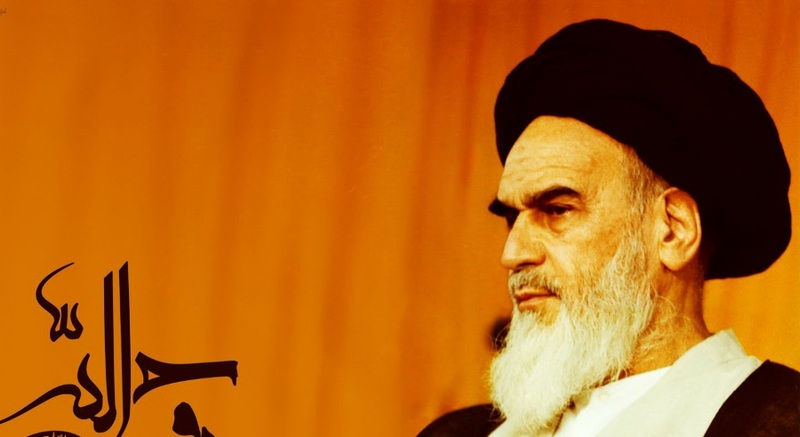 On Thursday all of Iran seemed to have turned out for Ayatollah Khomeini. From the airport to the Tehran cemetery, the centre of religious protest where a massive crowd awaited him, the Shiite leader could see that he was followed by a whole people to whom he intends to ‘show the way’.